The July 8, 2017 Osun West senatorial bye-election offers us a unique opportunity to examine the politics around us as a people. The last one week has been fraught with intrigues of a loud hue in Osun and beyond especially on the routes through which the major candidates for the election to replace late Senator Isiaka Adetunji Adeleke have emerged in their respective parties. 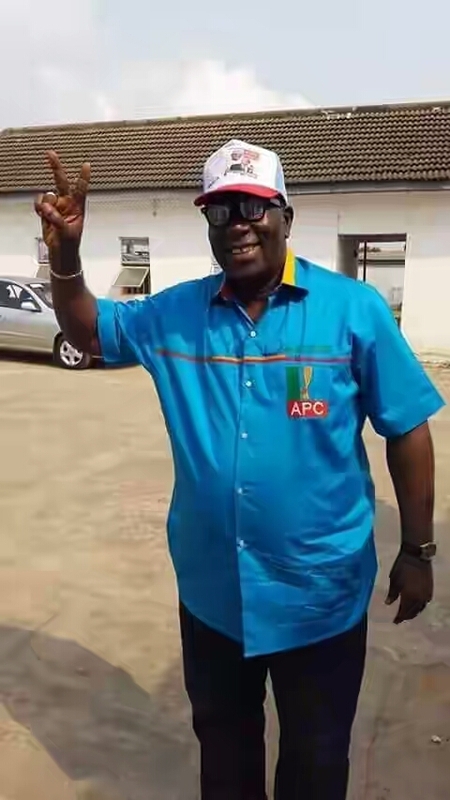 Of course, since the sudden demise of the former and first civilian governor of Osun and two time senator, the ripples have not ceased from one controversy to another. The allegations of possible foul play in his death; the violence and attacks on individuals by miscreants who claimed to be followers of the late senator; the controversies over the autopsy and the hullaballoo over the Coroner’s Inquest which was ordered by the state government, have all conspired to ensure that the attention of watchers of political events are not diverted from the issues of the death, the suspicion and the controversies. The Independent National Electoral Commission’s release of a timetable for the bye-election also came to start another phase of the issues which the death of Adeleke must throw up. Since the senator is dead, his family and coterie of loyalists would not see why his replacement should not come from his family compound and indeed, from one of his blood brothers. But then, the issue of who replaces Adeleke at the Upper chamber of the National Assembly goes beyond assuaging the family or compensating his kinsmen with the ticket. Adeleke was not an independent candidate who got into the Senate through his personal efforts or popularity. This is where his party, the All Progressives Congress comes in as the overall decision making organ on how Adeleke must be replaced at the red chamber. Recent political experiences of Nigerians come in handy in understanding the overall decadence that has diminished and enveloped all we do as a people. Most Nigerians who by accident, might not have heard what is called party supremacy came to understand what it means for a political party on whose platform a candidate stands election and gets elected. Especially through the 8th National Assembly, Nigerians have been told that the party matters less in how officers from a particular party emerge as principal officers of the chamber especially when the position of the party runs contrary to their personal preferences. That was what played out in 2015 with the emergence of Senate President Bukola Saraki and the Speaker, House of Representatives, Hon Yakubu Dogara and other principal officers of the two chambers of the National Assembly. Till date, Nigeria has not recovered from the implosion that the drama imposed on us. At that time, the refrain was that the party on which they were elected to the National Assembly could not be dictating to them how they conduct their affairs. That in a way, may have polluted the minds of many Nigerians who ordinarily would have had no qualms believing that the party, through whose strength you came to a political office must necessarily be in the know of how the affairs of that office is run since once elected, an office holder is expected to toe the party lines in the delivery of the electoral commitments to the people. This brings us to the drama that played out in the election of a candidate to represent the APC in the coming Osun West bye-election. In human life, everything appears to be divine. The choice of Senator Mudasiru Hussain could not have been otherwise for any party that wants to bring back, encourage and reward loyalty to the party and enhance the promotion of party supremacy. It should interest readers that Senator Hussain, who now holds the ticket of the APC was the same senator who relinquished his seat for Senator Adeleke to return to the Senate in 2015. Nigerians could not have forgotten what the late Adeleke went through in the hands of Peoples Democratic Party bigwigs in Osun in the build-up to the 2014 elections which forced Adeleke out of the party. Have we forgotten how the the Minister of Police Affairs, Jelili Adesiyan, threatened that he would have beaten Adeleke but for the consideration for his (Adeleke’s) health. Of course, he found the APC an attractive option at the time that was sure of victory. His coming into the APC at the time, one must admit, also boosted the re-election chances of Governor Rauf Aregbesola just as the incumbent had the honour of bringing all former governors of the state to his side as part of efforts to ditch the PDP then. But who would not want to be with Aregbesola given the massive crowd that was madly in love with him? Hussain’s sacrifice at that time could not have been heavier! Without any resistance whatsoever, Hussain relinquished the party’s ticket for Adeleke and the rest as they say, is history. In my findings, there are even indications that Aregbesola was more disposed to conceding the opportunity to produce a replacement to the Adeleke camp in the freshness of the senator’s demise. My findings indicate that all entreaties to make the family, now headed and directed by billionaire younger brother, Dr. Deji Adeleke, see the death of the lawmaker as act of God which should not be used to tarnish the image of the government fell on deaf ears. With the outcome of both the autopsy ordered by the Adeleke family and the Coroners Inquest ordered by the state government, it was clear why Adeleke’s death should not be traced to any other source other than complications arising from self-medication and overdose. How do you declare such an unjustifiable war on party and still demand from that party its ticket on platter of gold? It is simply illogical! But this is not about Adeleke; it’s about the lessons to draw in political calculations that once a member of a political party, the collective good of that party, rather than the good of the self, should be the guiding principle. In recent history of political parties in Nigeria, I doubt if there has been any politician with so much sacrifice for his party. The good thing however, is that Hussain looks set to reap the fruits of his sacrifice and that looks good a lesson in loyalty and party supremacy.